Number 3 – Jolly Holiday Bakery is located at the end of Main Street right before you make the turn into Adventureland. 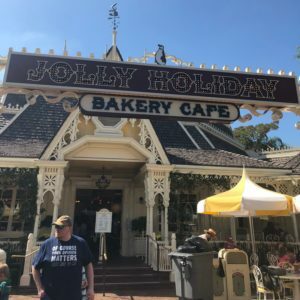 In the morning, the Jolly Holiday Bakery is a great place to stop for a breakfast item and an Espresso, but we really enjoy their lunch menu. My favorite is the Jolly Holiday Combo, which is a toasted cheese sandwich paired with tomato basil soup. Mmm. And of course I add a Mickey Sugar cookie to go along with that meal. 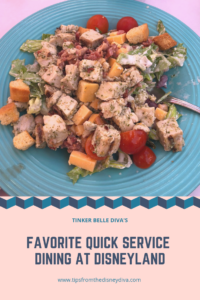 DIVA TIP – You can use Mobile Ordering on the Disneyland App to save time and have your food ready when you arrive! Read more about using the Disneyland App and Mobile ordering in this article. The line here can get long, so use Mobile Ordering when you can. Plus that will give you time to find a table, at it can be crowded here during the lunch rush. All tables are located outside, so keep that in mind in case of any weather. The cafe is themed around the practically perfect nanny, Mary Poppins. You’ll find many of your favorites from the movie, like the penguins, used in the decor all around, so take a look while you wait. Number 2 – Rancho del Zocalo Restaurante is Mexican cuisine in a cafeteria-type setting. It is located in Frontierland right next to Big Thunder Mountain. In fact, several of the tables have direct views into the attraction to watch the coasters zip along. 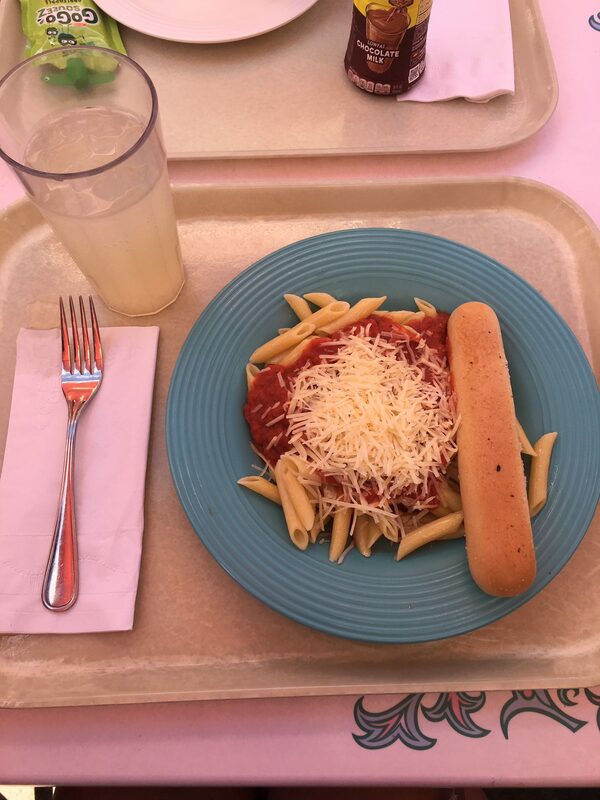 You take a tray and utensils when you enter the building. From there, head to one of three counters to select the food you’d like to have. 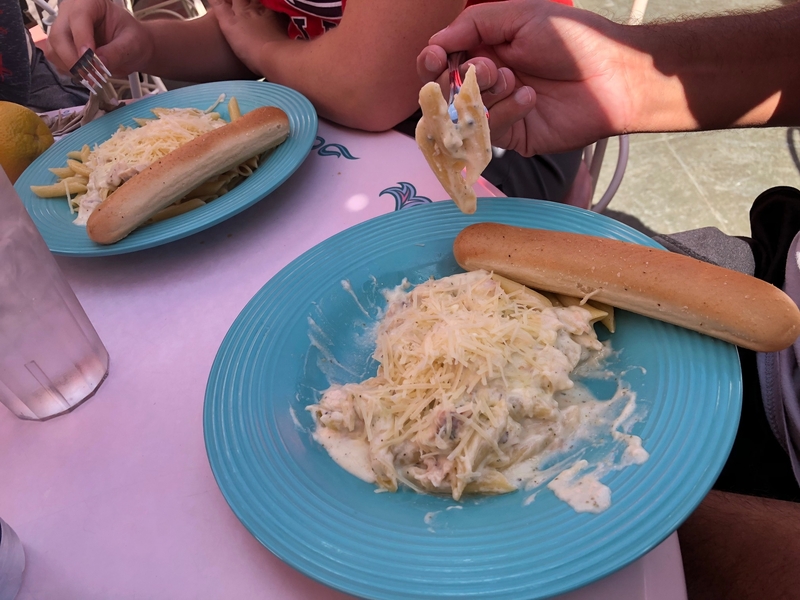 DIVA TIP – the portions here are large, so save some of your Disney dollars and split a plate with someone in your travel party. My husband and I frequently split the Red Chile Enchilada Platter. If you aren’t a fan of spicy food, I recommend the Street Tacos or any of the entree salads. 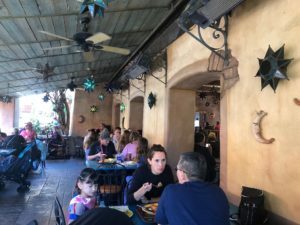 The atmosphere at Rancho del Zocalo is laid back, with stucco walls and beautiful decorations. 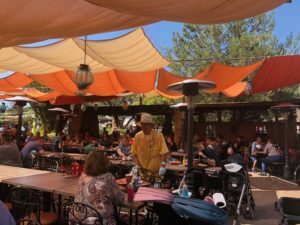 The seating is outdoors, but there are shade screens throughout and heaters when it is cold, plus there is an open air, fully covered seating area near the entrance. The best part is that there is almost ways a place to sit, even on very crowded days. DIVA DRINK TIP – the soda fountain is self-serve and you can get a refill of your beverage while you are still dining. There is also a water refill station for water cups or your own refillable water bottle. My kids love the Been and Cheese Burro. 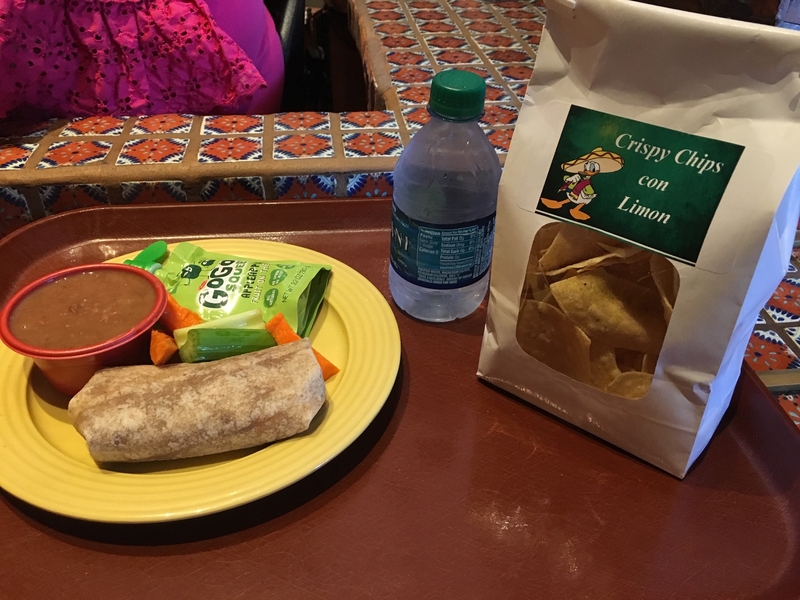 It is also fairly large, comes with carrots, celery, apple sauce, and a kid’s size drink (we usually get the water bottle), and the meal is not spicy at all. I have ordered one of these for myself since the portion size is great and appreciate being able to fit in some veggies into my meal as well. 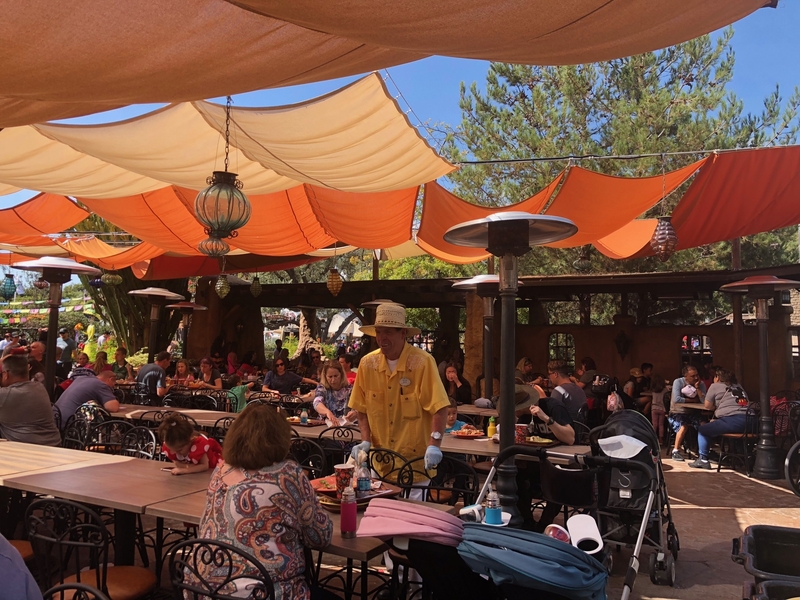 Mobile ordering is not available at Rancho del Zocalo, but the line moves quickly. Number 1 – Plaza Inn If you ask my husband, this is THE place to eat. It is his favorite. There is a character breakfast at the Plaza Inn called “Minnie & Friends – Breakfast in the Park”. Breakfast requires an advanced reservation (recommended that you make this 60 days before your trip). The menu at the Plaza Inn changes at lunch to a quick service meal. And if you are a fan of fried chicken, this is the place for you as this is their specialty! It is juicy and crispy, and comes with a soft, buttery biscuit and veggies to make you whole. My family also loves the Penne Pasta with Chicken Pesto Alfredo Sauce, and my favorite is the made-to-order Chopped Salad. 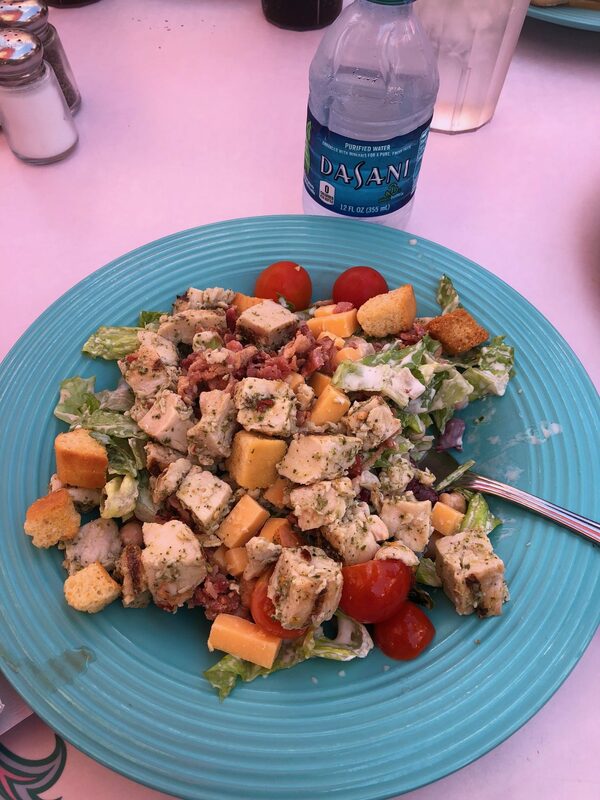 The salad is made with any or all of the available ingredients (your choice!) and then tossed for you before being served. Just like at Rancho, you take a tray and utensils when you enter the building, and head to one of several counters to select your food. The atmosphere at the Plaza Inn is casual, but the decor is very Victorian. The Plaza Inn is located at the end of Main Street right as you enter Tomorrowland. There is seating available both inside and outside under covered umbrellas. The seats inside fill up quickly, but we usually are able to find a table outside without a problem. Mobile ordering is not available here and the line can get long. Try off hours or line up a few minutes before they open to avoid the line. 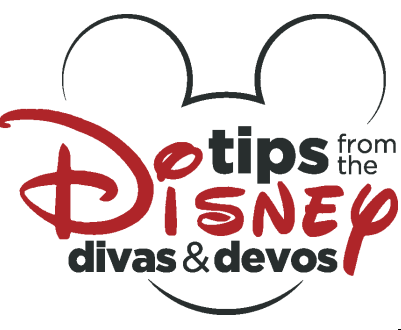 DIVA DRINK TIP – The soda fountain here is self-service and you can get a refill as long as you are still dining. If you want a cup to-go, just ask a Cast Member at the register and they will provide one for you. And water from the beverage fountain is free! Portion sizes at the Plaza Inn are big, and the fried chicken is easy to share with a friend. The kids menu also offers the fried chicken in a much smaller portion if that fits your appetite. 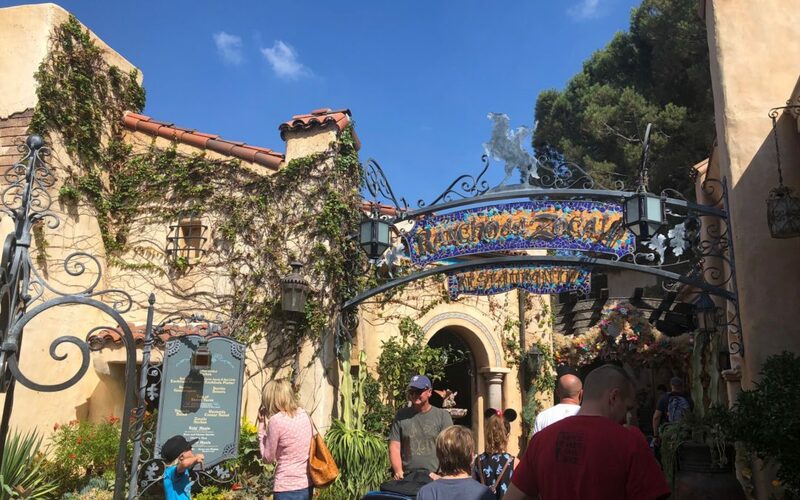 This was one of Walt Disney’s favorite places to eat, so you should eat here too! 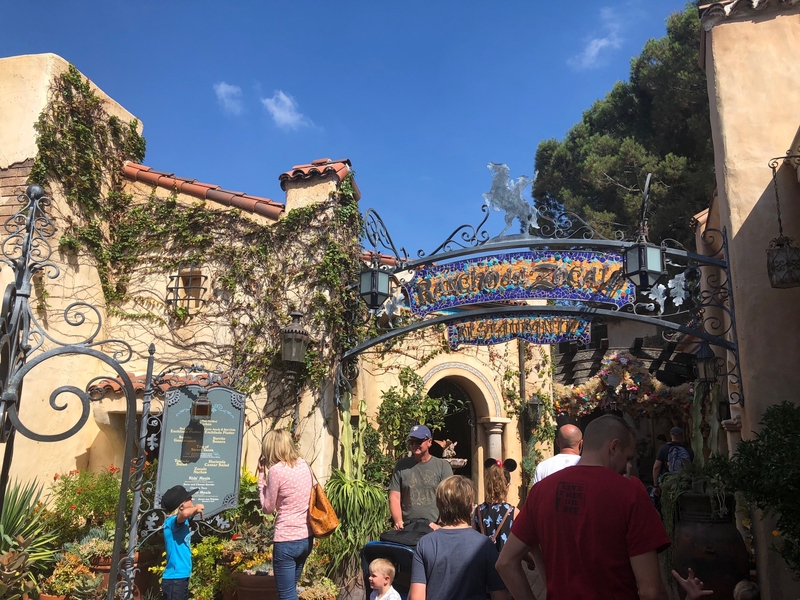 If you want to head to Disneyland to try these great options for yourself, contact Patricia at All for Dreams Travel so she can provide you with a FREE quote personalized for your trip. 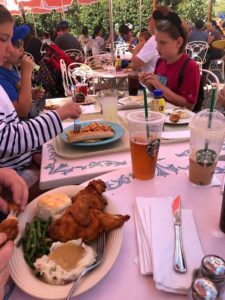 Dining at the Village Haus in Disneyland!